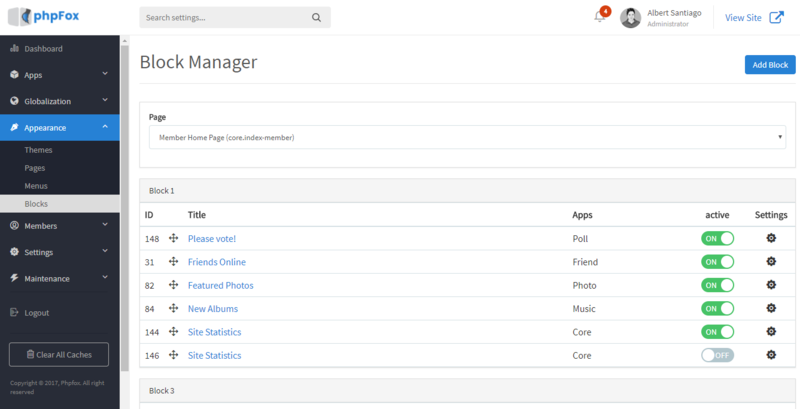 In the phpFox platform, a block is a set of information provided by the platform or third-party add-ons in which you can place in any community pages. With the powerful tools in Admin CP, you have full control on all blocks so that you can design all pages as your desire. In each page, such as User Profile Page or Home Page, you can easily activate/inactivate some blocks to let your users focus on the content you want to highlight. We provide you the easy method of creating a block directly from your Admin Control Panel, and you can simply use HTML or even PHP to create your very own block and place it anywhere on the site.